Angie Gallion’s Intoxic is an intoxicating coming of age story that will appeal to many! The main character, Alison, is sixteen years old, with all the challenges of that age group – love, family, peer groups, school and more. The thing is, most of us could understand these challenges, and it makes for a teen style story. However, this author takes the story further and, as a reader, I was completely engaged in the character herself - we feel her struggles with her home life and her mother, as well as her self esteem and confidence. That internal struggle of whether you are meant to live the same life as your parents or find a different path is one that many young kids or teens will identify with quickly. Angie Gallion’s style is a definite page turner. Her characters are real and authentic, and her style of writing is easy and comfortable. 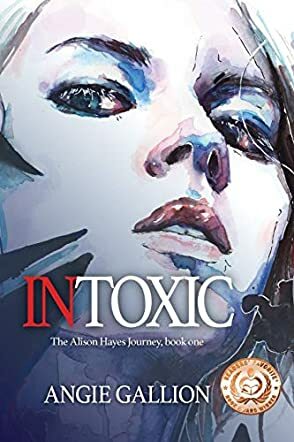 Intoxic is written in Alison's world, and you find yourself trapped inside her head, and longing for a positive outcome for this troubled but smart and heartfelt young woman. This is the first book in a potentially strong series of novels, and the way the author ends the book is both satisfying, but also clever, leaving the reader seeking to know more about Alison’s plight and what she may confront as she faces the next stage in her life. Without a doubt, the author has found her niche with this character and this storyline, and I would recommend this book to any reader. I hope to read more in this series.